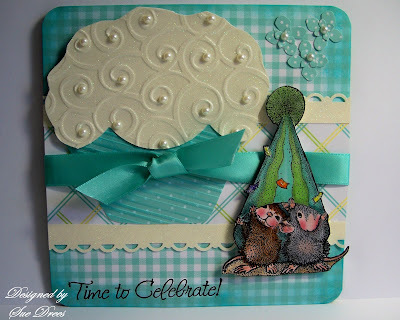 Welcome to The House Mouse and Friends Monday Challenge #76. Our Teammate, Lisa, came up with this week's challenge, make a card or project, using the above photo for inspiration. You can take the inspiration from the colors, the character, its up to you, and we can't wait to see what you come up with. Here is a close up of the little mice getting ready to celebrate! Whenever there is a mouse in the picture, you have to know there is going to be food too! I colored the mice with Copic Markers, cut them out and popped them up. The papers I used are Martha Stewart. I cut the cupcake by hand and ran the two pieces through a cuddlebug folder and placed pearls on the frosting part. The border punch is also Martha Stewart. The sentiment is Rubber Stampede. I distressed the edges of my card with distress ink. Tiny flowers are a punch with pearl centers. We hope you will join us this challenge and make a card and link it at House Mouse and Friends. The challenge will run through Sunday, August 29th and one person will be chosen at random to receive a House Mouse Stamp of "YOUR CHOICE" from our generous sponsor, Simon Says Stamp. Don't forget to go the the House Mouse and Friends site and check out the wonderful cards that the design team have created.....what a wonderful bunch of talented people!!!!!!! You always come up with such unique one of a kind cards! I just love the house mouse with the cupcake idea! Beautifully done! Hi Sue D, love the two littles cuties sharing the hat, gorgeous colouring and your cupcake is stunning. Fabulous colour combo and details. I love that big ole cupcake! Really cute card, Sue! 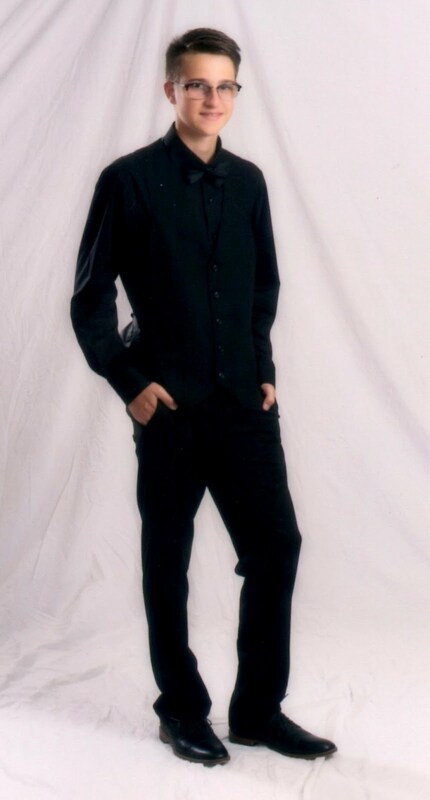 I like your new photo too! Your colouring never ceases to amaze me!! 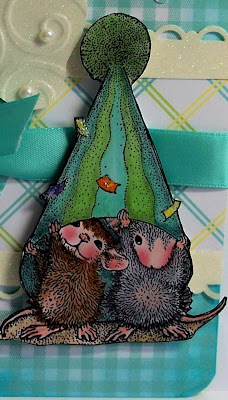 These mice look fantastic and I love the colour palette and your brilliant swirly-topped cupcake!! Very cute!! Your card is awesome. Love the cupcake and the sweet image. It looks so great together. Oh my goodness Sue! I just saw your card and it was done like mine! Honest, I didn't see it when I saw the challenge, I just read what to do and made a card. Your coloring is stunning and the layout wonderful. Hope you don't think I copied you! Wow, this card really hit the mark with all it's fun details...lovely cupcake and great colors on you image too!